On any given day, our news feeds are littered with stories of high-profile firings or resignations related to sexual misconduct, harassment, and gendered language in the workplace. Instances of sexual misconduct and harassment are egregious. Upon this, we all agree. Corporate leaders should not use power and influence to prey upon subordinates. It is not okay. But gendered language is trickier. It can be difficult to know where the lines are drawn. Something that seemed acceptable to say 10- or 20- years ago may not be okay today. A Nebraska state senator, the president of the PGA, a chairman at an elite advertising firm, the CEO of a professional tennis tournament, and even a Nobel Laureate in Medicine all learned this the hard way recently on the heels of comments in interviews or social media. In all the cases, male leaders in their fields made what they considered to be “harmless” remarks about women, and all of the men paid for those comments with their jobs. These swift dismissals may be victories for women in the workplace, but they are accompanied by a fair share of vitriol and disillusionment. 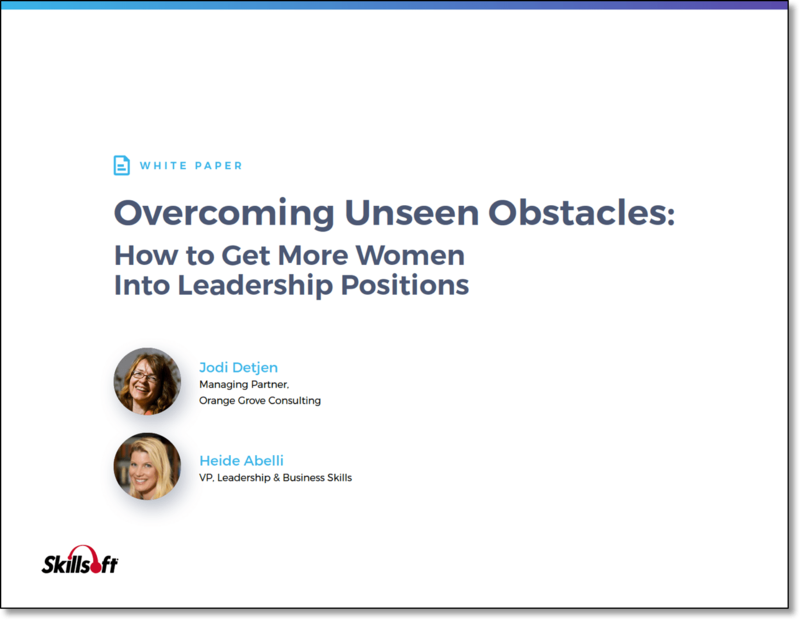 Many male leaders wonder, “What is it even safe to say anymore?” With the glass ceiling still alive and towering in nearly every sector of corporate America, it is the responsibility of BOTH men and women to answer this question together. So, What Is Okay to Say? Sexism in the workplace is subtler now than it used to be. Gone are the days of cigar-smoking boss men calling their secretaries “Honey” and “Sweetie.” There is a new language of gender bias, comprised of phrases that may seem harmless, but which contribute mightily to the stereotyping that helps keep women out of the C-suite. Sometimes gendered language can seem like support for women. A male colleague might say to a female colleague, “I know you can’t travel because you have small children at home.” What seems like respect for family life is actually a blind assumption. In plenty of homes, men are the primary caregivers. A woman should at least have the power at work to make or reject her own travel plans. Similarly, a compliment can betray subtle bias. “Work and family? I don’t know how you do it?” This may seem like praise, but does that same individual applaud a male colleague for being both a father and a worker? Likely not. The short answer is that a man should not say anything to a woman that he would not say to another male coworker. “You look so nice today,” seems a harmless enough remark until we think about the fact that men do not walk into conference rooms and compliment other men on their hair or the way they look in their suits. To use a woman’s appearance as an icebreaker reminds everyone in the room that she is a woman and somehow separate from the men in the workspace. Similarly, introducing a colleague as a “female engineer” or a “woman writer” differentiates her from a man doing that same job. A man is not a “male computer programmer.” He is a programmer. As is a woman who does that work. No gender labels are necessary. Further, asking the only woman in the room to “be the note taker” or “plan the holiday party” preys on age-old gender stereotypes whose persistence serve to undermine women when questions of promotion arise. We require medical technicians to become re-certified. We insist that teachers continue their education. We demand that engineers keep up with the latest development platforms and codes. Management should be no different. To lead means to learn and re-learn. Coming up through the ranks has both opportunities and costs. Chances are, if employees have risen up the ladder of your organization, they know the ins and outs of the workplace better than just about anybody. However, that closeness can blind them to ways that are not as sensitive—and therefore, not as productive—as they could be. 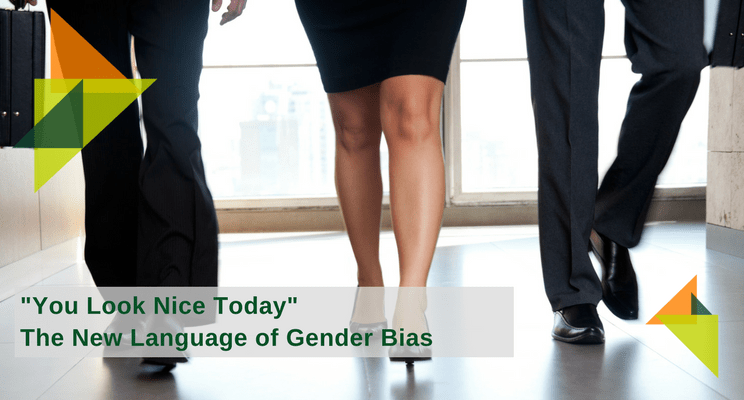 When BOTH male and female colleagues are trained to notice and eliminate gendered language, they are well on the road to making their organization a safer and more productive place to work. Check out our Programs and Services or email Kelly Watson.